Hello my lovelies! I've come to the conclusion that women have 47 chromosomes... the extra one being the shopping chromosome! Why else do us women have no control over our ability to spend ridiculous amounts of money? I do it every single month and never learn my lesson, so it has to be in my DNA! 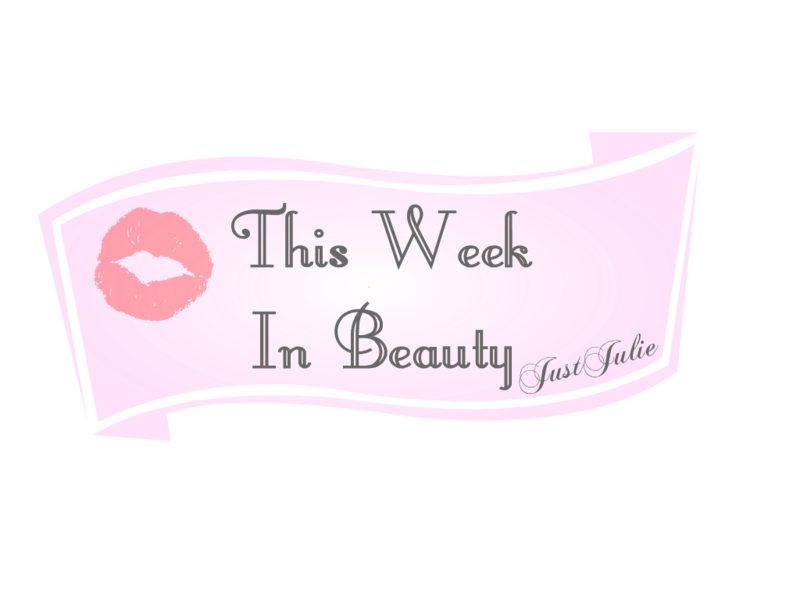 So anyway I thought I'd show you this weeks new beauty products! 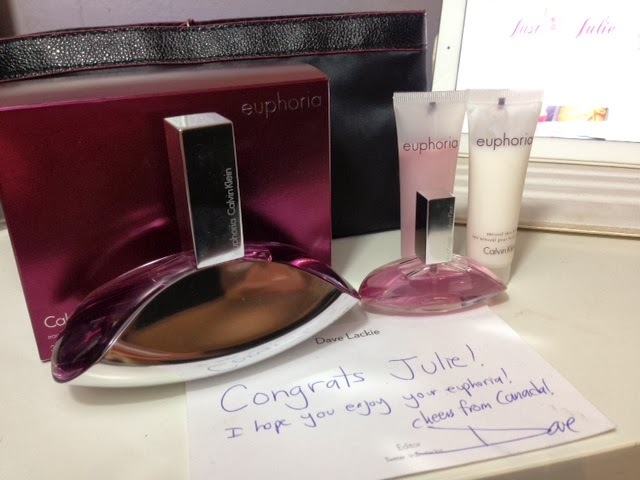 Calvin Klein Euphoria Eau de Parfum: If you follow me on Twitter you might have seen on Valentines Day I won a a prize over on Dave Lackie's twitter: I was the first one picked that day and won the 100ml perfume and also the travel set, which comes with a miniature shower gel, body lotion and Euphoria sprays. I was over the moon! I never win anything! Dave does awesome give-aways every single day, all high end brands and so many people enter I honestly didn't think I'd ever win! This was coming from Canada and I had it by Monday! How awesome is that!!! Love Me Beauty Box: This is my second box since I signed up and like January's box I'm so impressed with it's contents, especially the Percy & Reed Dry Conditioner which I've been wanting to try ever since I see it in John Lewis! 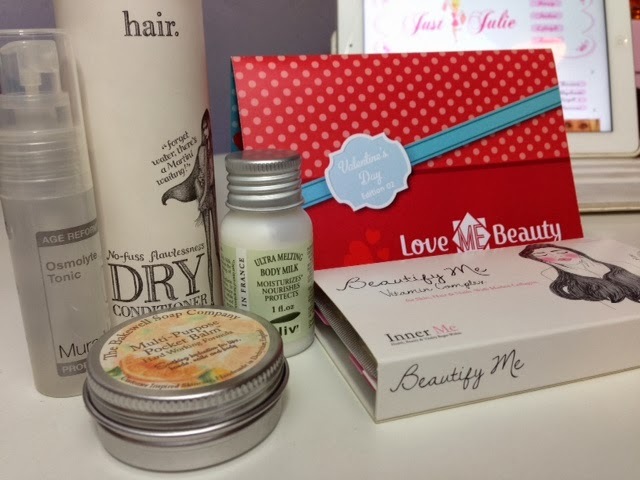 Love Me Beauty Box costs £10 plus P&P and this months contents work out around £35. There is not a single thing in this box that I'm disappointed with! The Multi-purpose balm actually sorted my dry lips out in just one night! Glossybox: Ok so last months box totally sucked and I had high hopes for this months box, especially as it was a Valentines Day themed box, then I found out we wouldn't get it until after Valentines Day! Some people got it on Saturday, I got mine on Wednesday, so the theme now means nothing to me! That being said I love the actual box. I've seen people dislike the glossy finish boxes but I personally love them! I like the contents but don't love them. I already have a Maybelline Big Eyes Mascara and luckily I'm a huge fan of it, I actually wrote a guest post for it over on Mascara & Maltesers blog. I love the Ciat nail polish and the chocolate (which I ate straight away) was very nice! The rest is a bit meh but it's an improvement on last months crap! Latest in Beauty: They do several beauty boxes but I didn't want yet another box, but on the website you're able to buy luxury sized samples, so you get to try them a few times before you buy them. I've wanted to try Philip Kingsley Elasticizer for awhile now but it's quite expensive, £28 for 150ml or more reasonably priced £15 for the 75ml... well I got the 40ml size for just £2.50! Also I bought the Percy & Reed Reassuringly Firm Session Hold Hairspray in a 50ml for £3, this same size is sold at £6 elsewhere! 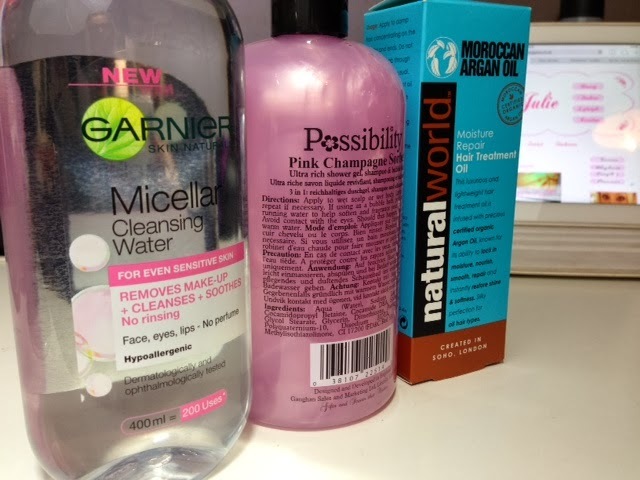 I popped in to Savers and picked up Garnier Micellar Cleansing Water 400ml I got it for £2.99, it's currently £4.99 in Boots. Everyone is raving about this so as it was such a bargain I needed to buy it. Possibility Pink Champagne Sorbet 525ml for just £1! This is a total dupe for Philosophy! The shape, the writing, the name being similar! I couldn't believe it when I see it! This smells gorgeous and like Philosophy it's a shower gel, shampoo and bubble bath all in one, it's also paraben free which was a shock considering it's just £1. I noticed they did a Raspberry Scented one too, which I MAY go back and buy... well for £1 it would be rude not to! Finally I bought Natural World Moroccan Argan Oil Moisture Repair Hair Treatment Oil 100ml I've never heard of this before (just found it on Amazon) and I'm all about anything Argan Oil or Moroccan oil right now as my hair has been very dry lately and for £3 it wouldn't be a total waste if it was a pile of poo! It's also paraben free which is another plus! I never go in savers but there was a ton of bargains so I will definitely go back there and see what I can pick up next time! So that's it for my week of beauty products! What products have you bought this week? Did you find any bargains that you couldn't resist?